Made to measure clothes, Hanging Lanterns & Unspoilt Beaches in Hoi An, Vietnam – Why Waste Annual Leave? After a hectic and noisy few days in Hanoi and Halong Bay, I was so inspired by Hoi An – a city where fairytale Vietnam comes to life. For me, Hoi An was the floating colourful lanterns sleepily drifting through the murky waters and trawling underneath the Japanese bridge; it was the parked boats touting business in the evening when the night lights cast a glowing shadow on the waters, reminiscent of the Venetian gondolas without any of the pretence; it was the traditional, fragrant Hoi An white rose dumplings that beautifully encapsulated the grace and beauty of Hoi An as a place; it was the warmth, kindness and sincerity of the people, of the people throughout Vietnam in fact. The tailoring of fabrics and leather has gone viral in Hoi An. It must have one of the highest proportions of tailors per square mile anywhere in the world and in a small town of only four main streets, there are literally hundreds to choose from. I am anything but a shopaholic but here, it is near impossible not to nab a bargain. Bespoke clothes, suits, boots, shoes, belts and bags are the mainstream the way tea and toast are in England with prices that would tempt even the most disciplined into sinning. 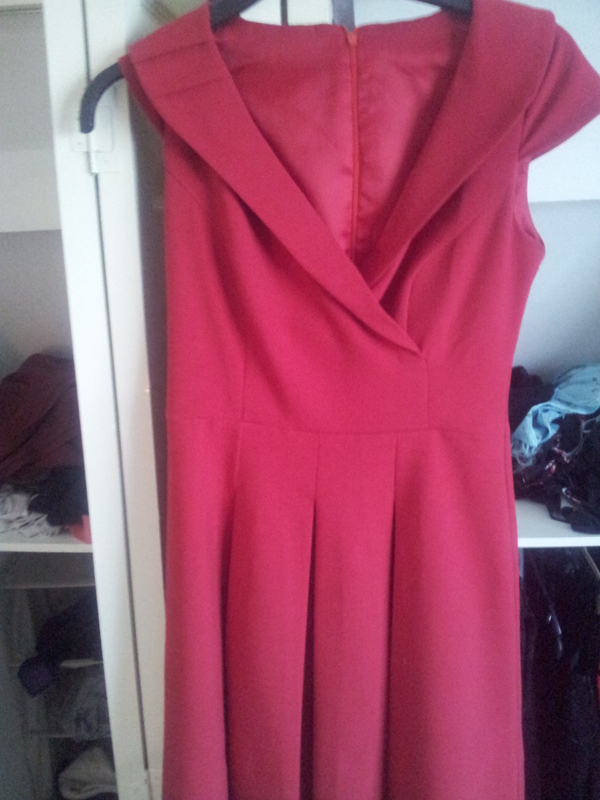 So I sinned – with dresses, a coat, shoes and a travel bag. Think of it as an investment (I had to – it was the only way I could justify the big shopping spree to myself) 😀 It is impossible to know where to start with selecting a tailor I imagine most of them are very similar. We ultimately chose Yaly Couture, one of the original companies in Hoi An with several branches in the city. It is a little bit more expensive than its competitors and we selected this one based on its positive reviews. The fitting was precise and well-measured for both shoes and clothes and I was delighted with how they turned out on the day of the big reveal. 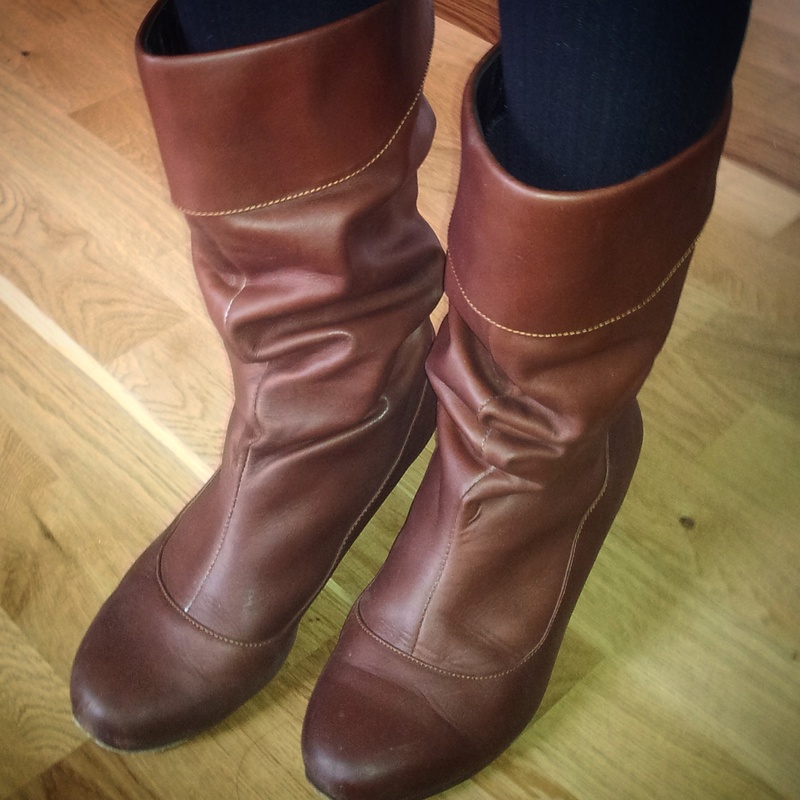 Unfortunately, the quality of the boot heels and soles failed to match that of the leather finish and flattering fit – I had to get them both re-soled and re-heeled after just a few wears back in rainy England. I managed to persuade Pumpkin to get himself a jacket – the boy works hard and deserves a treat (plus when one reaches their thirties and their husband still does all his shopping at TK Maxx, one does despair as a wife.) Once you’ve had your fix of catalogue-browsing and fabric-fondling, take time to stroll down Hoi An’s narrow streets taking in the charm of the Japanese bridge and soaking up the aromas of Vietnam’s enticing cuisine. And if the spices and smells stimulate the rumbles in your tummy, head over to one of the numerous cookery schools to master the skills to be able to recreate the dishes in your own home before rounding off with a Vietnamese drip coffee in one of the most charming coffee houses in the world. For those of you interested in cultural and religious monuments, two or three intimate temples are within easy walking distance. 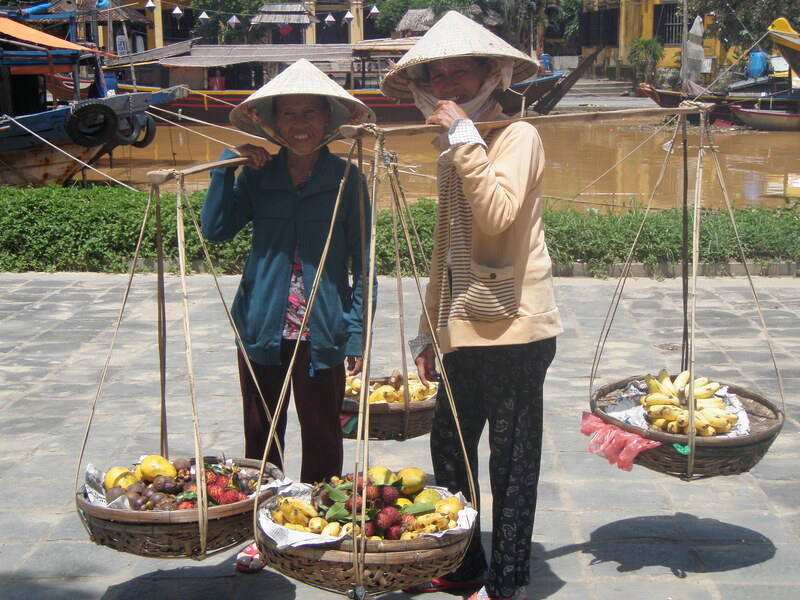 Hoi An is the perfect equilibrium of culture, food, shopping and beach. Unlike the renowned world famous beaches of its neighbours Thailand and Malaysia, the beaches of Vietnam often get neglected by global travellers seeking sandy stretches. And whilst it doesn’t have the snowy white shorelines you’ll spot in the Maldives (but seriously, where does?!) the coast was breathtaking, peaceful and decidedly less touristy than many other beaches I’ve visited across the world. We stayed at the Victoria Hoi An resort, which offered free and quick shuttle services into the town, allowing us a relaxing retreat after a hectic few days in Hanoi without compromising our ability to see Hoi An. There’s s something curiously intriguing about Hoi An that just catches you offguard – it’s that flirtation you know you shouldn’t be having that makes your heart skip a beat and you can’t help yourself from falling. That’s the Hoi An spell. If you’re heading to Vietnam, why not see for yourself? Your secret is safe with me. Haha, it seemed fitting given how much time we spent in the shop just touching and feeling the different fabrics, lol 🙂 Hoi An was lovely – probably my favourite part of Vietnam – just so charming, laid back and friendly – not too far from you so I’d definitely recommend if you’re looking for a mini-break (or a shopping spree!!) Thanks so much for commenting Nita! This post brings back amazing memories. I spent in Hanoi approximately 2 weeks and I totally loved it. I even joined the gym and lived like a local for a week :D!! Felt great, loved it so much!! Ohhh take me back.. beautiful photos of a beautiful place! 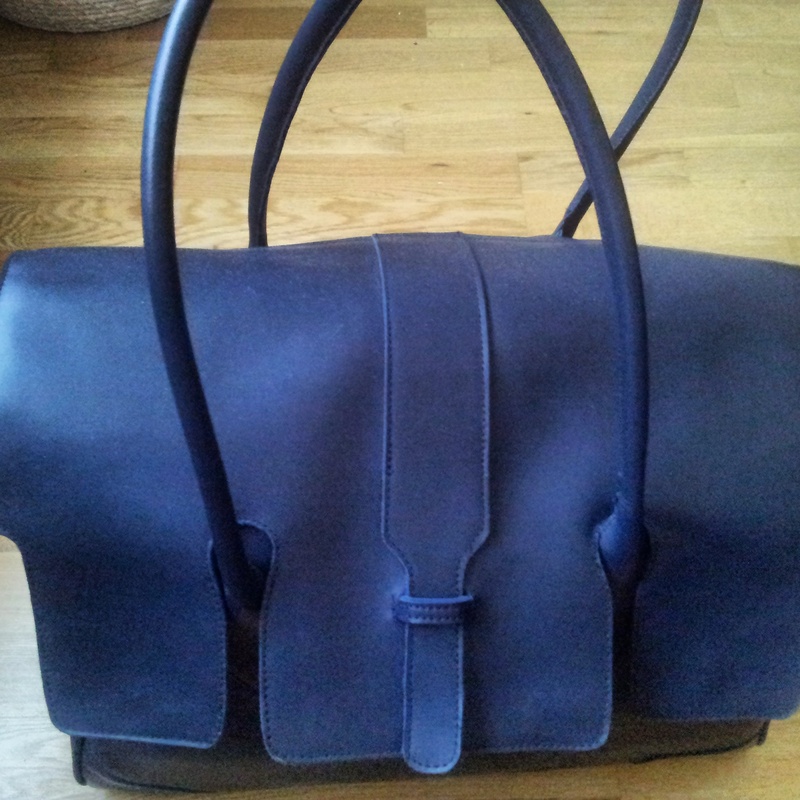 LOVE the blue handbag too!!! Hanoi looks like an amazing city. I love the items you got made and those beautiful images of the lanterns! I wasn’t too happy with the clothes I had made in Hoi An (maybe my expectations were too high…), but I did get some gorgeous silk scarves there that I still wear today (almost five years later)! And agreed, the beaches in Vietnam are lovely – definitely overlooked. This post makes me want to get to Vietnam more and more. Beaches, coffee and cute blue purses are calling! You’ve summed it up rather well actually – lovely beaches and I’m not even a regular coffee drinker but I had one of those Vietnamese drip coffees nearly every day 🙂 And yes, if you do end up going, you can get yourself a purse made in pretty much any colour you want! Thanks for reading Em! I really want to visit Viet Nam. Few years ago I met a German communist who moved to Viet Nam to work there in a humanitarian field. The story of her life and her stories (full of warmth, love and passion) about Viet Nam made me sure this is the place I want to experience in the future. Lovely post and I would love to get some made to measure clothes – what a treat! I love this little town and you’ve summed it up beautifully! I had some clothes made at Yali as well – the trick there is to go for the best quality fabric you can afford. 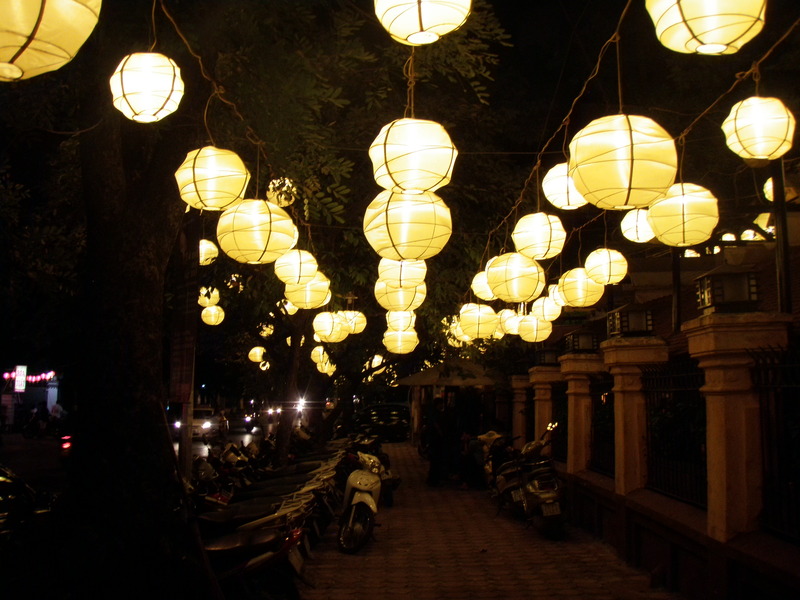 We’re heading back to Vietnam this year and will be spending NYE in Saigon – I’m so excited! What a lovely post that really brings Hoi An to life!!! I planned out our Vietnam trip (coming up in Jan!) and I’m so sad I didn’t know about Hoi An until after I already booked everything 😦 D is the kind that needs to book things months in advance so there’s not much room for detours. It looks like my perfect kind of small town. And the beach looks perfect to me!! How did you get there and if you flew from Saigon, how long was the flight? I’m wondering if I can maybe jet over there for just a couple of days while we’re in Saigon…. Thanks so much for the kind words Anna 🙂 So glad you liked the post and I really hope you might be able to persuade D into a little detour – to be honest, I’m a bit of a planner usually too but for Hoi An, it might be worth a little exception! We flew from Hanoi to Da Nang (which was a little over an hour) and then it was about a half hour drive from Da Nang airport to Hoi An. Hope you get a chance to go but even if you don’t, I hope you like Vietnam – it seems to be a country that gets mixed reviews from people but personally, I really warmed to it and enjoyed my time there! Thanks for the info! I’ll look into it. If I don’t get to fit it in this time, then I definitely will plan for it next time. I heard some mixed reviews about Vietnam too (seems to be either love it or hate it), but I’m really excited for it! 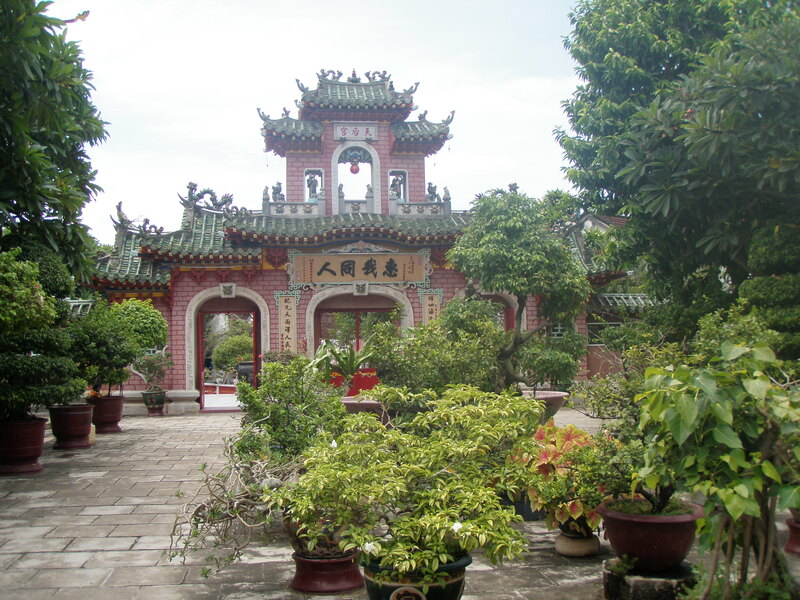 I’d love to visit Hoi An, it sounds amazing! The beach does look beautiful, and I would much rather be on this slightly-less-perfect beach alone, than on a perfect beach full of tourists! Oh! I love the look of those boots. Too bad you had to resole them when you go home shortly. Everything you bought looks really stylish. How much did it cost? Thanks so much Adelina! Yes re-soling wasn’t the best but I’m still wearing them a year on so the rest of it was well finished! Yaly was a bit more pricey than many other tailors but from memory, I think maybe in the region of about 60 USD for a pair of boots – not super cheap but when you think that it’s all leather, tailor made, you get to choose your own colour, leather, interior, design with buttons/zips etc and heel size etc, it’s certainly a lot cheaper than bespoke shoes would be back home! 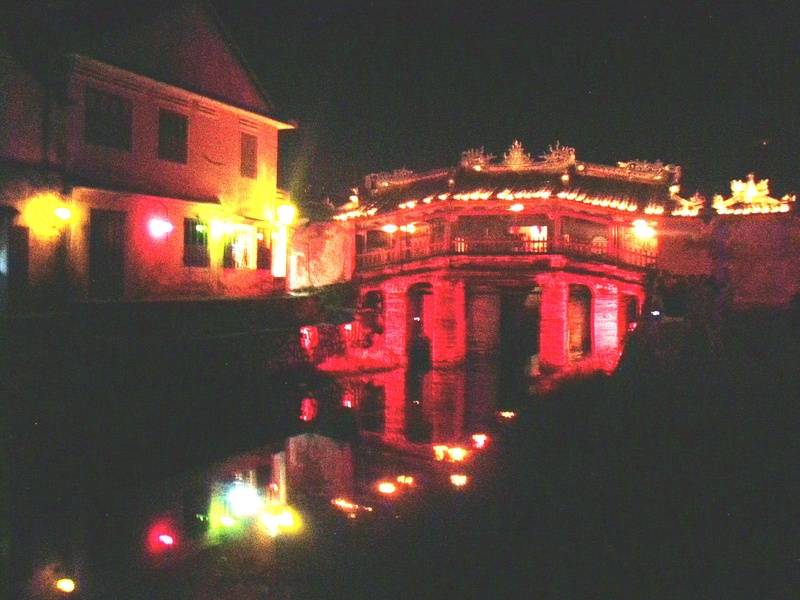 Oh I´d love to go back to Hoi An. Such a nice change from the manic capital. Thanks for reminding me I need to go back! I am truly baffled by your post. It is dated October 23rd 2014… and you post photographs of a wide, sandy beach at Victoria Hotel. Did you really take these photographs last October? Wow, that’s truly impressive. 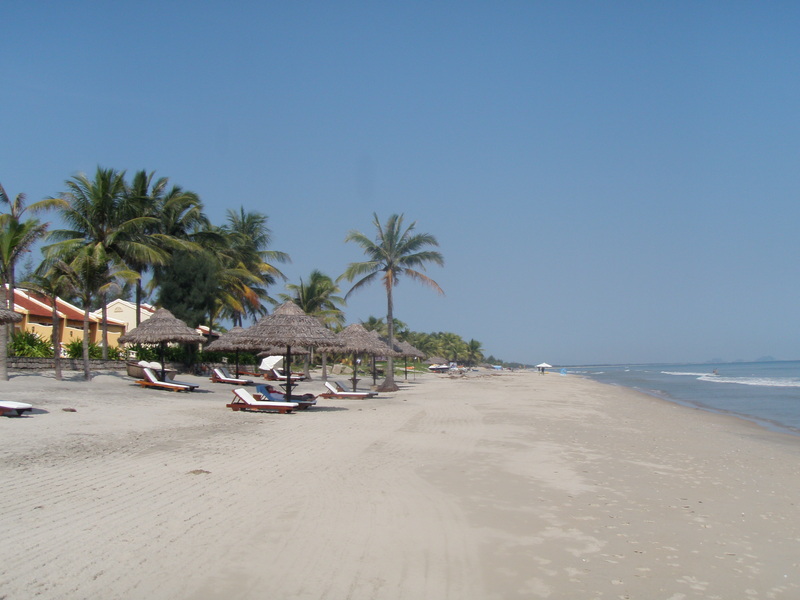 I am staying at Victoria Hoi An Beach Hotel as we speak (December 11th 2014) and there’s no beach anywhere. Cua Dai beach has been swept from the face of the earth a year ago, November 2013, when it was struck by a typhoon. At least, so I was told by the people working here, and why should I disbelieve them? I repeat: here is NO beach at Victoria Hotel. Waves are crashing on makeshift barriers of rock, which is supposed to protect the hotel from the unrelenting waves. Today, workmen in rain clothes worked around the clock to reinforce the barrier, carrying rocks in their bare hands and throwing them down on the wall they have thus erected, because the storm from the Philippines is approaching. In short: your post is nonsense, and you are fooling your readers. I am sure you will delete my message as soon aas you see it, but in your heart you know your pulling peoples legs (to put it mildly). Hi Hans. Thank you for your comment. 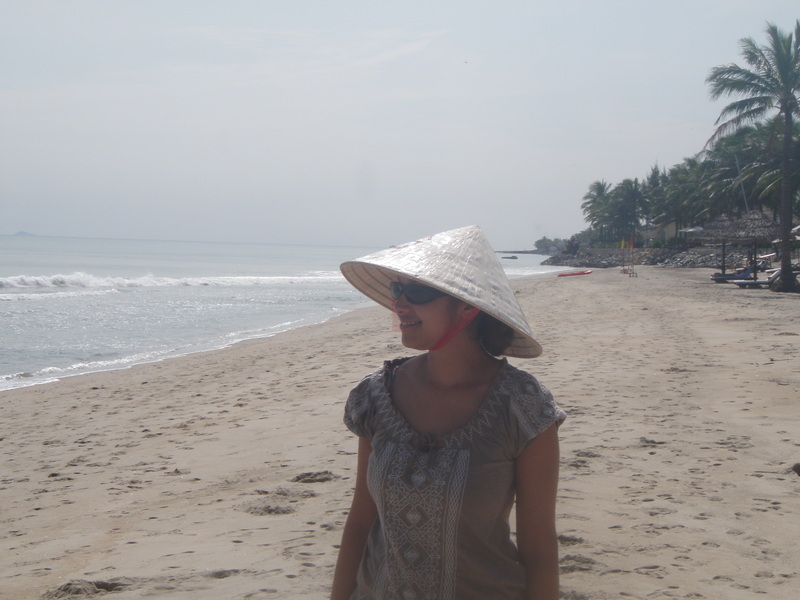 I visited the Victoria Resort Hoi An in September 2013 when there was a lovely beach still there. At the time that I visited, there was no destruction so it’s interesting to hear the updates of what has happened since then. Most of my posts are written after my travels rather than whilst I’m travelling, which is why my experience of the resort back then differs from your experience of the resort right now. Enjoy the rest of your visit. I think it would be great if you can update the blog with some warning message telling about recent changes (if they are really true). That might help new travellers better pick a holiday location.